Bronchial asthma and allergic rhinitis are the most common respiratory allergic disease mediated through type-1 immune reaction. The imbalance of TH1 and TH2 cells is responsible for increased immunoglobulin E (IgE) level and release of immune mediators, producing symptoms in the particular genetically predetermined target organ. Pharmacotherapy is effective in controlling the symptoms of allergic diseases, but withdrawal of medication leads to reappearance of symptoms in a short span of time. The therapeutic modality, namely allergen-specific immunotherapy, corrects the TH1 and TH2 imbalance and thus effects the natural course of allergic disease prescribed in addition to the pharmacotherapy. Immunotherapy has also been found to prevent development of newer allergies and progression of rhinitis to asthma. The subcutaneous immunotherapy with perennial subcutaneous injections and stepwise procedure is the standard and established method. Here, the injections are started with a very high dilution of antigen and then slowly increased to the optimal maintenance dose. However, precautions should be taken to take care of the related side-effects, including anaphylaxis. Patient education and use of this therapy only by trained physicians is mandatory, and it should be practiced at a center having facilities for the management of anaphylaxis. There are various trials in the literature to support improvement by immunotherapy. In Indian studies, favourable results were noted in symptom score, skin sensitivity, airway reactivity (PC20), specific immunoglobulin (Ig) E, Ig G1 and Ig G4. Researches are aimed on a safer and more acceptable route of administration of the allergen. The sublingual route for immunotherapy has been used from 1986 and, till today, has been found to be equally effective and safe. 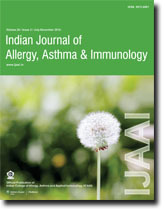 Considering the difference in geo-environmental variation in India from the western world, an Indian guideline for practice of allergen immunotherapy was published in 2009, where consideration was given to the Indian environment, pattern of seasons, presence of different/newer allergens, affordability and feasibility of certain tests in the Indian context. 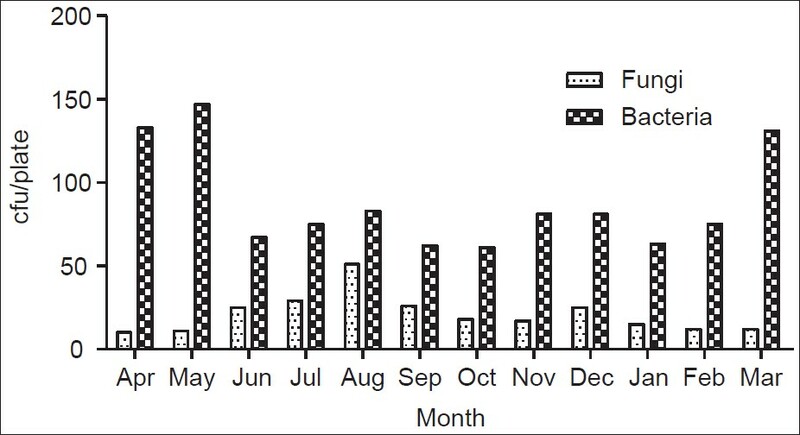 An investigation of the quality of air and the quantity of airborne microbes in one of the gardens of Davanagere was conducted for 1 year to assess the level of airborne pathogens. The main aim of this work was to determine the microbiological content of the aerial ambience in the garden of Davangere, with special focus on bacterial and fungal contaminants. The media used for the study of fungi was Sabaroud chloramphenicol agar. Aspergillus spp, Curvularia spp, Alternaria spp, Penicillium spp, Rhizopus spp, Nigrospora spp, Fusarium spp, Mucor spp and Cladosporium spp were commonly found in the selected six sampled areas of the garden; of these, Asergillus spp, Penicillium spp and Pithomyces spp were found to be dominant. The concentration level of airborne bacteria was also measured with proper media. Selected bacterial genera such as Escherichia coli, Klebsialla spp, Pseudomonas spp, Salmonella spp, Staphylococcus spp, Proteus spp and Enterococcus spp were found in the garden. In the sampling, bacterial counts were influenced by temperature while aerosol fungi correlated to temperature and relative humidity. Taking into consideration the entire assay, the concentration of the fungi was considerably high in the winter and rainy season whereas the concentration of bacteria was remarkably high in the summer season. Nine hundred and eighteen patients with bronchial asthma and/or allergic rhinitis including 548 (59.69%) males and 370 (40.31%) females with a mean age of 30.10 years were studied for skin sensitivity to various aeroallergens by skin prick test. The maximum numbers of patients (261; 28.43%) were between age group of 20 to 29 years. Patients diagnosed with bronchial asthma were 191 (20.81%), allergic rhinitis were 305 (33.22%), and both bronchial asthma and allergic rhinitis were 422 (45.97%). Significant skin positive reactions (2+ and above) were found in 657 (71.57%) subjects, which included 130 (14.16%) of bronchial asthma patients, 208 (22.66%) of allergic rhinitis patients, and 319 (34.75%) of both. The younger adults aged 20-29 years were the most commonly affected group with 197 (21.46%) significant skin positive patients. Insects (43.90%) followed by various types of weed pollens (21.79%), tree pollens (15.14%), dust (14.49%), house dust mite (12.42%), fungal spores (11.98%), grass pollens (7.73%), kapok cotton (2.18%), silk (1.31%), and wool (0.76%) were the offending allergens. Among individual allergens, most common aeroallergen was moth (33%), and least common was ehretia (0.54%). Among grass pollens, Cynodon (3.05%) was most common, and least common grass pollen aeroallergen was Pennisetum (1.74%). Among weed pollens, Ageratum (5.45%) was most common, and least common was Chenopodium album (1.53%). Among tree pollens, Holoptelia (5.01%), was most common, and least common was Ehretia (0.54%). Among dust, the wheat dust (8.28%) was the most common, followed by house dust (7.08%), and least common was paper dust (1.53%). Among the fungal spores, Aspergillus fumigatus (4.25%) were the most common, and least common was Candida (1.09%). Among insects, moth (33%) followed by mosquito (31.92%) were the most common, and least common was rice weevil (12.75%). When compared with the pattern of our study, there was significantly increased in sensitization to various allergens. Atmospheric allergens play an important role in the pathogenesis of naso-bronchial allergy. It is important to know the prevalence of allergens in one's area.for proper diagnosis and effective management The data of positive reaction to fungi on 1500 patients of nasobronchial allergy has been included in this study. Allergy test (skin testing with intradermal injection of antigen) was conducted on patients and the results were interpreted by comparing the wheal produced by the test substance in relation to the control. While analyzing the results 60 patients were excluded because of (±) or one plus (+) cutaneous reaction to fungal antigens. Topping the list, cladosporium was positive in 158 patients (11%) followed by Alternaria tenuis in 144 (10%), Curvularia lunata in 108 (75%), Helminthosporium sp. in 115 (8%). Moderate positives were Rhizopus nigricans in 92 (6.4%) patients, Candida albicans in 86 (6%), Aspergillus fumigatus in 86 (6%), Mucor mucedo in 83 (5.8%), Aspergillus niger in 81 (5.6%), Phoma batae 79 patients (5.5%), Aspergillus tamarii 72 (5.5%), Trichoderma 72 (5%). The low positives were Penicillium in 50 patients(3.5%), Aspergillus flavus 43 (3%), Nigerospora 41 (2.5%), Neurospora sitophila 41 (2.5%), Epicoccum purpurascens 31 (22%), Aspergillus versicolor 30 (2%) and Fusarium solani 28 (2%) patients. Information about fungal antigen positivity is being provided in the present article, which would serve as a reference to the physicians dealing with allergy patients as well as those studying environmental sciences. Asthma guidelines are instituted to improve patient care. The extent to which physicians adhere to guidelines will depend on their understanding of such guidelines. This study was designed to evaluate physicians' understanding of the Global Initiative for Asthma (GINA) guidelines. A cross-sectional survey was carried out among physicians in the University of Calabar Teaching Hospital. Thirty-one multiple choice questions based on the GINA guidelines covering seven core areas were administered on 104 physicians, including 74 Internists, 24 Family Physicians and six Respiratory Physicians. Total scores and subscores were calculated for each respondent. A good understanding of the guidelines was determined by at least 50% correct answers. The average total score for the test was 39.5 ± 1.4% (mean ± SEM). Respiratory Physicians recorded the highest total score of 67.2 ± 2.1%. 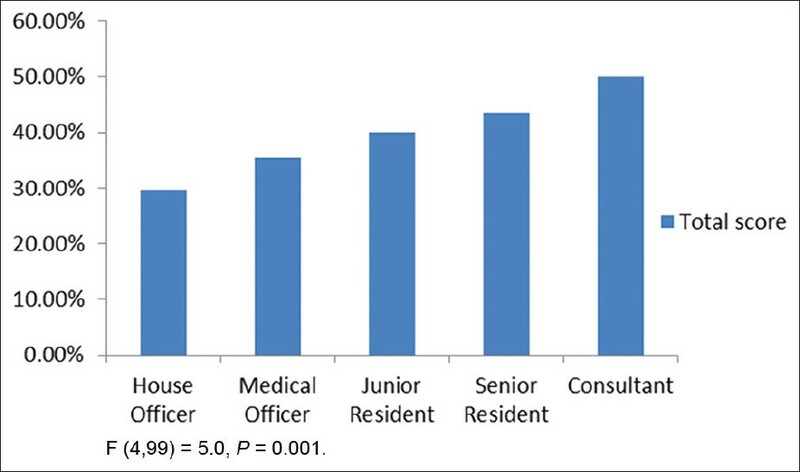 Respiratory Physicians recorded significantly higher scores than Internists in questions related to education, prevention and disease control (P < 0.05). They also recorded significantly higher scores than all other specialties in questions related to diagnosis, pharmacology and therapy (P < 0.05). Only 32 respondents reported attending a Continuing Medical Education program after graduation, and this was a significant predictor of good understanding after controlling for other variables; OR 4.5, (95% CI 1.3-15.6), P = 0.017. Only 20.2% displayed a good understanding of the GINA guidelines. The findings of this survey provide some explanation for the poor level of asthma control seen in daily practice, due in part to poor understanding of asthma management guidelines. Well-structured educational interventions targeting knowledge gaps will improve the understanding of the guidelines. Hereditary angioedema (HAE) is an autosomal dominant condition having congenital deficiency of C1 inhibitor and is characterized by sub mucosal and subcutaneous edema of skin, larynx, and abdomen. The disease manifests itself primarily in the extremities, face, airway, and abdominal viscera. Occasional reports have appeared linking HAE with autoimmune diseases. We report a case of HAE presenting recurrent lip swelling, bleeding from lip, hypothyroidism, and rectal polyp with multiple aphthous in sigmoid and ascending colon. Serologic tests for rheumatologic and autoimmune diseases were negative. Proper diagnosis and treatment are essential as this condition sometimes becoming life-threatening due to potential airway obstruction. This case report demonstrates the complexity of diagnosing and treating HAE with unique combination features of recurrent bleeding from lip, hypothyroidism, and rectal polyp with multiple colonic aphthous ulcers. Upright sitting is preferred position for spirometry. 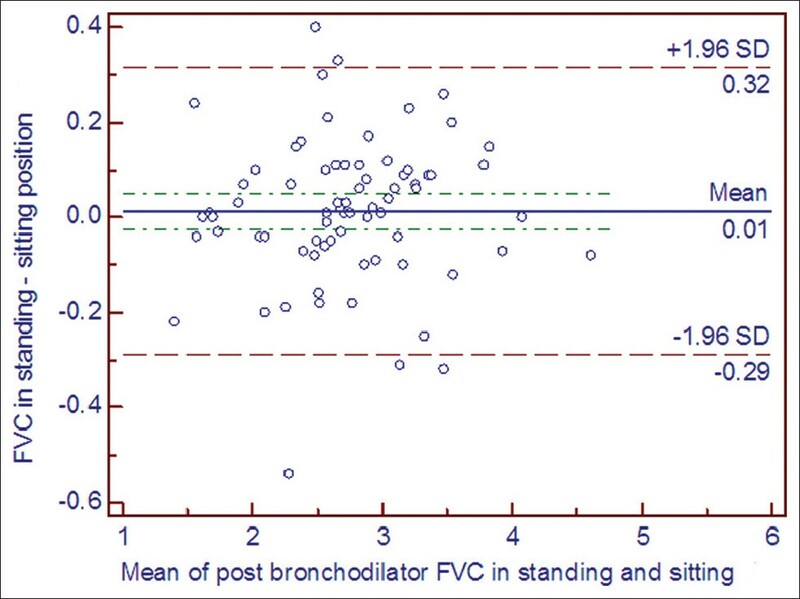 The spirometric values in seventy five adult patients with obstructive lung function in sitting versus standing position were compared. The forced vital capacity (FVC) in standing position were marginally more, but no change in forced expiratory volume (FEV 1 ) was observed. The agreement in diagnosing reversibility of obstruction in either position was high.